A proper height boosts confidence. Tall people look attractive and become the centre of attraction. Sorry, but I am not demeaning the capabilities of people who are short height. We can very well relate to the pain of short stature individuals. No, doubt they too will agree that they have faced disadvantages in certain professions and social life because of their small height. To a significant extent, it’s your genes that determine how tall a person will grow, but growth is also regulated by Human Growth Hormone secreted by the pituitary that is essential for growth of the long bones and cartilages. A few other factors that influence growth are low birth weight, weak postnatal care and poor health during childhood. If your height is not in favour according to your age, don’t feel low as the solution is with you. If extra efforts are taken during puberty years, genetic impact as less height can be treated, and you can grow taller. There is a different belief that females stop growing after menarche and males stop growing after the age of 18. But, if you bring changes in your lifestyle and diet you can gain a few more inches. In this article, we share a list of foods, which helps you to grow. Nutrition and growth are closely related. The cell division process requires an adequate supply of amino acids, lipids, water, vitamins, minerals and energy. Food provides with 50 percent essential growth nutrients. Let’s have a look at foods that provide necessary nutrients for growth. Food sources rich in proteins– Protein has a very important role in increasing height. Poultry, fish and egg are rich sources of protein that are associated with high serum levels of IGF-1. IGF-1 (insulin-like growth factor-1) promotes bone mineralisation and longitudinal growth of bone. It also reduces the chances of fractures. It adjusts the calcium -phosphate metabolism that is required for the healthy development of skeletal during growth years. Other rich sources of proteins are turkey, chicken, beef, seafood and dairy. If you are vegetarian, you can have sprouted beans, soy, peas, lentils, beans, corn, cooked mushrooms, cauliflower, avocados, blackberries, bananas, apricots, jackfruits and passion fruit. Calcium– One of the essential minerals that is needed for growth is calcium. Calcium is required for the bone mineral deposition throughout the year. Sources rich in it are yoghurt, milk, cheese, dairy, green leafy vegetables, and calcium-fortified foods. Food sources rich in vitamin D– For the proper absorption of calcium and phosphorous vitamin D is very important. Vitamin D is very essential for the development of teeth, bones and cartilages. Vitamin D is of two types. D3 is synthesized by the body when skin is exposed to the sunlight and D2 is obtained by diet. It is naturally present in mackerel, egg, salmon, sardines, cod and vitamin D fortified foods. Food sources rich in vitamin K- Vitamin K is a critical component needed for normal blood clotting and maintaining bone health. Mostly vitamin K is produced by the micro-organisms present in intestines and is stored in the liver. Foods rich in vitamin K are green leafy vegetables, cabbage, broccoli, soybean oil and rapeseed oil. Zinc-rich food sources– Although zinc is a micro-mineral required in a small amount in the diet. But studies have shown that zinc supplementation velocities growth over a period of 12 months. Zinc participates in the synthesis and secretion of growth hormone. It participated in the action of growth hormone in the production of somatomedin-C production that activated the bone cartilage. Zinc also interacts with other hormones such as insulin, testosterone, vitamin D3, thyroid and testosterone that are somehow related to growth. Food sources of zinc are pork, oyster, dairy, pumpkin seeds, baked beans, chicken, dried apricots, prunes, banana, blackberries, cooked cabbage, lemon grass, green peas, spinach, mushrooms and dates. Carbohydrates and fats– To carry out growth energy is required. Carbohydrates and fats provide energy and also spares proteins to be used to derive energy so that they can be used for growth purpose. Eat whole grains and fruits. Avoid refined sugar and carbonated drinks as they are associated with a decrease in the bone mineral density. Eggs- Eggs are a rich source of omega-3, proteins, Vitamin D and vitamin A. It improves all overgrowth. A child can consume 1 and an adult two eggs every day without fearing about increasing the level of cholesterol. Eat boiled eggs omelette and say no to raw or fried eggs. Bok Choy or Chinese cabbage– Bok Choy is rich in carbohydrates, essential minerals, vitamins and dietary fibres that stimulate growth hormones and boosts height. Beans– Being rich in vitamins, protein and minerals beans stimulates growth hormones and optimises growth. Add boiled beans to daily diet for the desired result. Turnip– Consume mildly seasoned turnip soup to your everyday diet regime as it can boost growth hormone working from within the body cells. Yogurt– Yogurt is rich in protein, calcium and vitamin D. Consume a cup of yoghurt daily. Oatmeal- Oatmeal is a rich source of protein. It keeps the extra fat off and increases muscle mass. Soybean– Soybean is a superfood rich in carbs, proteins, fibres and folates. It increases tissue and bone density. Add boiled soybean to a salad or consume tofu or soy milk. Milk– Drink 2-3 glasses of milk every day. It makes your bones healthy. It is a rich source of calcium, vitamin B12, vitamin D and protein. Spinach– Spinach promotes the growth of bones; muscle cell builds up and brain cell growth. Carrots- Eat carrots to make your body storehouse of calcium. 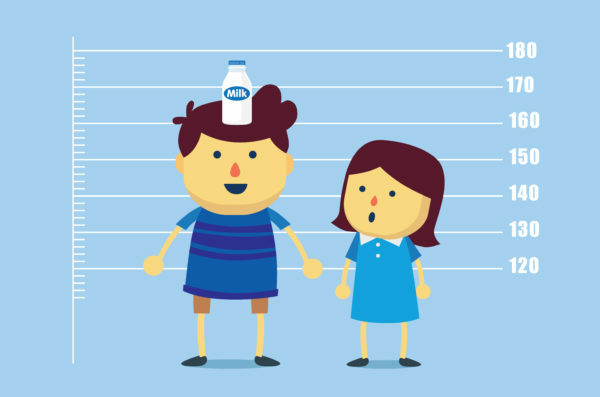 Regular consumption of calcium-rich foods makes your body grow taller. Also, the carrot is rich in vitamin A and C.
Pumpkin seeds– Daily intake of pumpkin seeds promotes the body tissue repairing mechanism and formation of new body tissues. Pumpkin seeds are rich in among acids. Incorporating natural herbs, discussed below have also proved to enhance height. One of the best-known herb to increase height is Indian ginseng or Ashwagandha. It influences growth hormone. During puberty or transition age that is 16 to 18 years, your body needs proteins and essential vitamins to increase height. Ashwagandha assists the right development of the body. It also boosts body immunity by increasing WBC count, raises the energy level. Jaggery is a natural sweetener that aids digestion offers cooling effect, treats constipation, purifies blood and cleanses intestine and respiratory tract. It also increases the energy level. Jaggery is rich in antioxidants, phytochemicals and anti-inflammatory compounds. Cow’s milk is rich in calcium and has a cooling effect. It nourishes body tissues and increases life expectancy. It is known to possess anabolic hormones and other necessary nutrients that promotes height. To a glass of milk add two tablespoons of Ashwagandha and a tablespoon of jaggery. Drink this concoction before going to bed. Asaliya or garden cress (Lepidium sativum), Asparagus, Indian gooseberry and Pueraria tuberose with cow milk and ashwagandha- Garden cress seeds stimulates the production of growth hormones and facilitates bone and muscle growth. It can be consumed by children as well as teenagers after puberty. Indian Gooseberries is rich in antioxidants, vitamin C, calcium, phosphorous, fibre, carbohydrates, carotene, iron, thiamine and riboflavin. It boosts body immunity and revitalises and regenerates energy. Pueraria tuberose strengths the muscles and increases body immunity. Also, it improves bowel movements. Asparagus too supplies the body with essential nutrients required for healthy growth. It has a cooling effect and removes toxins from the body. Mix one-fourth teaspoon of Ashwagandha, One-fourth teaspoon of Asaliya with a half teaspoon of Indian gooseberry and a half teaspoon of Pueraria Tuberosa. Add the mixture to a glass of warm milk and drink for 45 days before sleeping. Do not miss a single day. The bark of Terminalia Arjun plant– Bark of Terminalia Arjun plant is rich in antioxidants that improve body metabolism and increases height. Its powder is easily available in herbal shops. BOil a tablespoon of the powder in a glass of water until it reduces to half. Strain and drink it before having a meal. Banyan tree fruit– Eat about 2-3 banyan tree fruits followed with a glass of milk every day. Bamboo preserve– Take 100 grams of bamboo preserve empty stomach for about three months for noticeable results. Giloy– Giloy strengthens connective tissues. Chew a teaspoon of giloy powder with some water or add a teaspoon powder of giloy in a cup of warm water and have it once in a day. Apart from paying attention to diet and supplementing with herbs to grow tall, you need to engage yourself in regular exercise or yoga and have adequate sleep. At the end of the article, I will like to add that there are numerous products available in the market claiming to increase your height. Do not fall for them as they may adversely affect your health and can be dangerous. Pay attention to your diet, exercise regularly and have enough sleep and you will gain height eventually and naturally.